It will go off and install dependencies if it needs to. 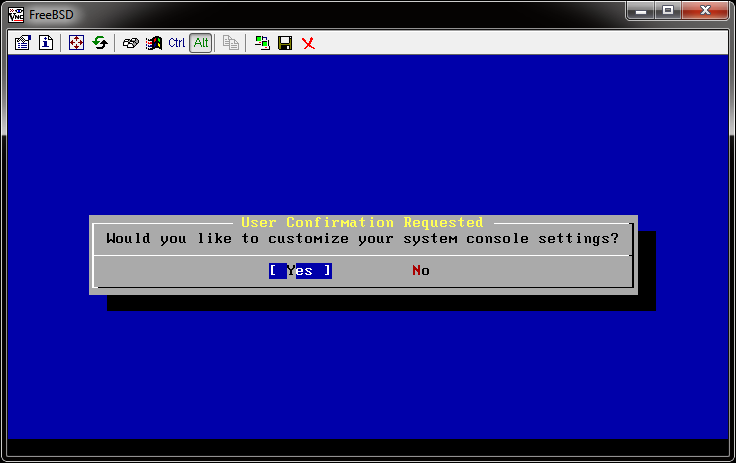 If you see any other configuration boxes, just accept the defaults and move on. This takes a while as it has to install quite a few packages/ports, mostly for the file alteration monitor support – but it’s worth it so be patient. If you already have X/gnome2 installed, this process will be much quicker. 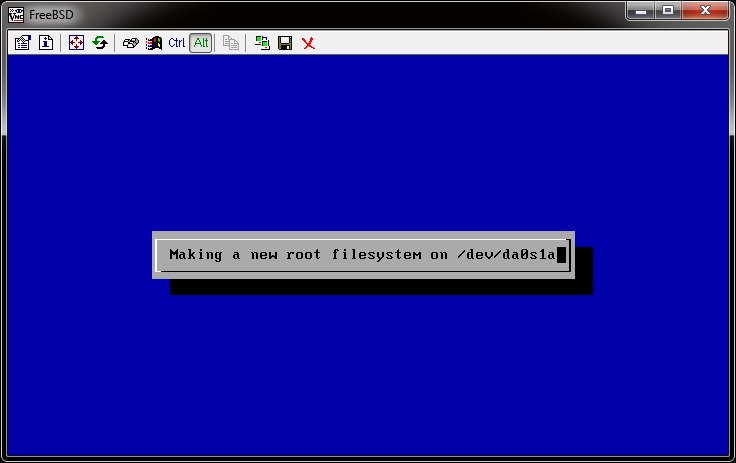 Your windows netbios name, by default, will be the hostname of your FreeBSD server up to the first dot. E.g. for test.dan.me.uk the netbios name is TEST. Reboot to startup samba with all the relevant changes. 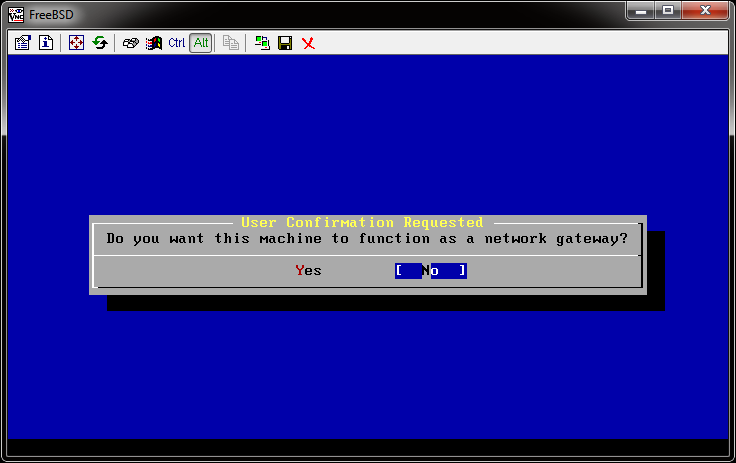 Browse to the server and you will see “tmp” share which is a user nobody access to /tmp. Check the samba documentation on how to define other shares, such as per-user homedir shares. This entry was posted in FreeBSD, Hints & Tips and tagged file, file server, file sharing, FreeBSD, nas, samba, server, sharing, smb, windows on September 27, 2010 by dan. Now all passwords you change or set when adding a user will be encrypted using blowfish. 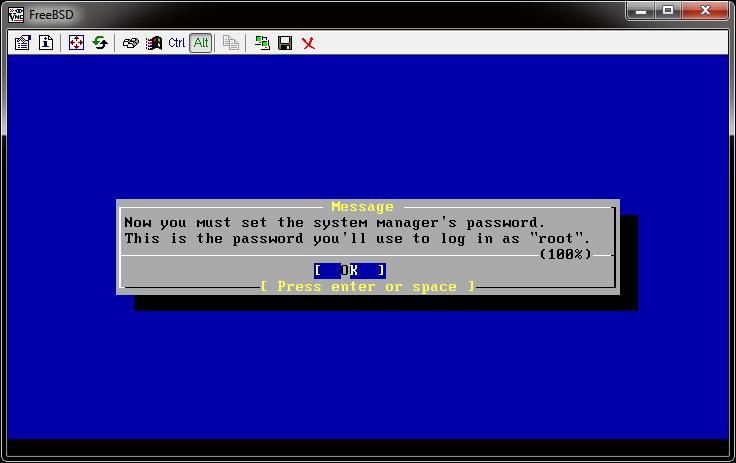 You can change your current password with passwd and when changed, your password will be blowfish encrypted. DirectAdmin requires the system to use md5 not blowfish or sha512, otherwise you will never be able to login to your DA web console. 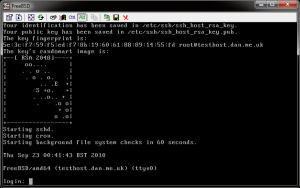 This entry was posted in FreeBSD, Hints & Tips and tagged blowfish, crypt, FreeBSD, guide, hash, how to, howto, md5, password, shadow on September 27, 2010 by dan. 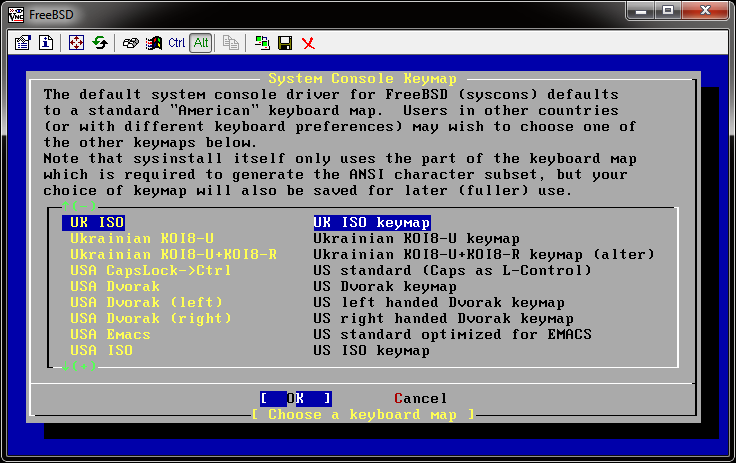 From time-to-time you will want to upgrade your FreeBSD system. My preferred method is the source method. To start, we need to create a file to define our source update. Part of this requires you to choose a release engineering tag. This is quite simple to generate. It is the word RELENG followed by an underscore and the version number. For example, if your system is running FreeBSD 8.1-RELEASE then your release engineering tag is RELENG_8_1. 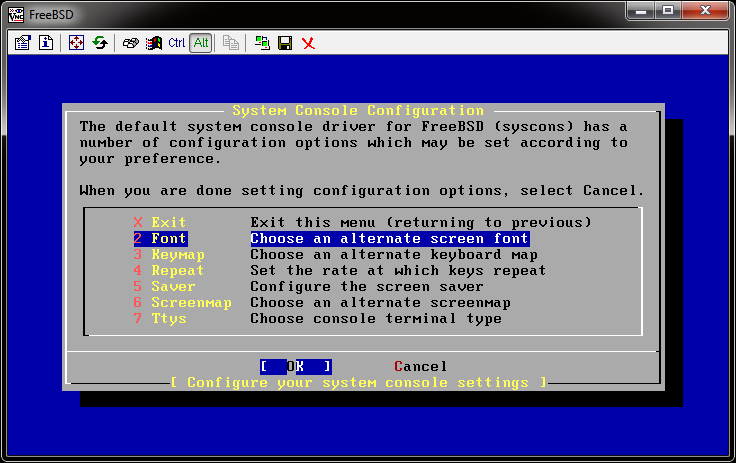 If your system is FreeBSD 7.2-RELEASE, your tag is RELENG_7_2. 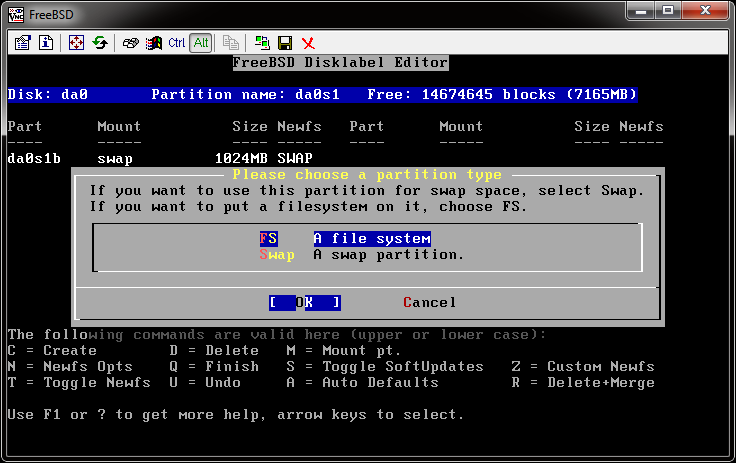 You can also, if you’re slightly braver, choose the ‘stable’ branch for your version of FreeBSD. This is the tag with only the major number. e.g. RELENG_8 for FreeBSD 8 stable. This is my preferred version so I will use this in my examples. You can change the host to be your local mirror. 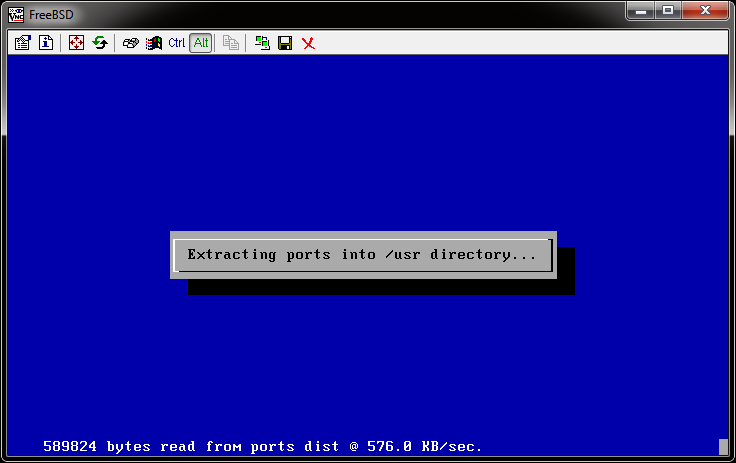 See my post on updating the ports tree for a list of mirror sites. This will take a while as it updates any files required based on your released engineering tag. 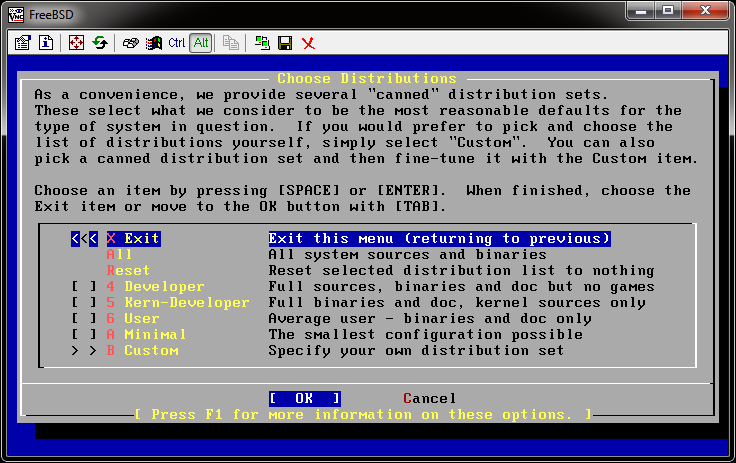 Once completed, your FreeBSD kernel/OS sources are up-to-date. The number after the ‘j’ should be the number of cores plus one for optimal usage. Again, you can use the “-j5” notation from above to speed things up. Ok, now you have both the OS and kernel recompiled and ready to install. At this point, you have not installed any updates, merely compiled them ready to install. 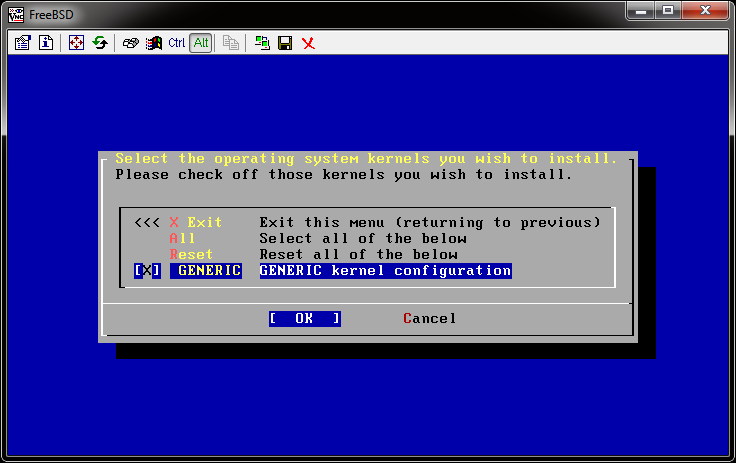 This will install the new kernel and install the OS files. Now, there’s just one step remaining. The files in /etc/ are never replaced by the install process – but they may have changed between versions. 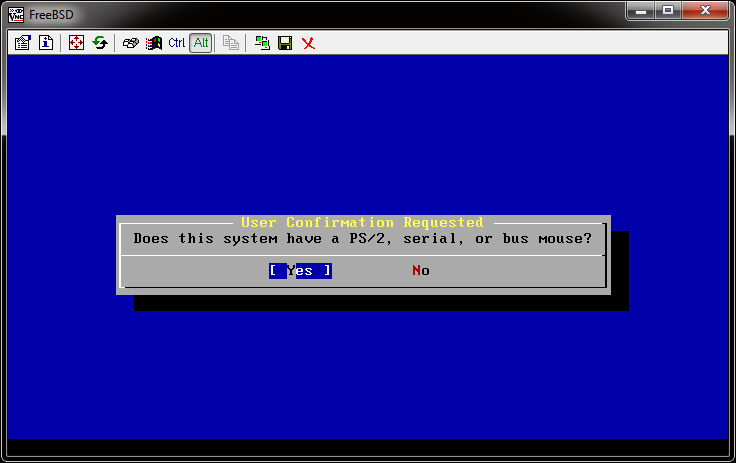 FreeBSD includes a handy little utility that compares RCS/CVS ids on these files and allows you to see the difference and install them. This will automatically install any files that the user has not modified, or new files. Follow any instructions on the screen to handle other files. 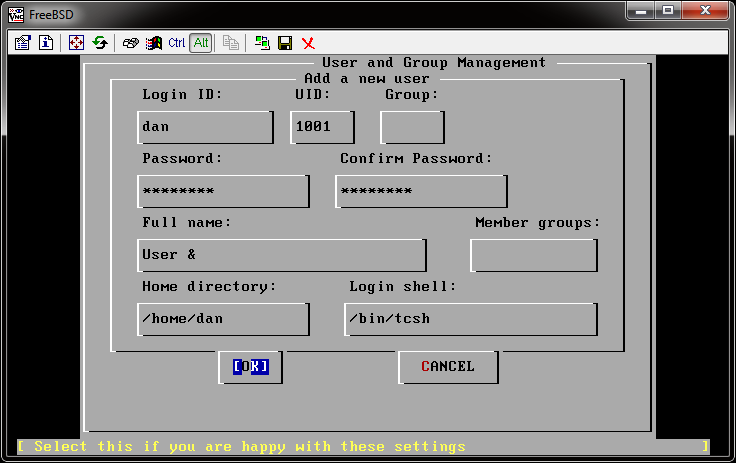 Be weary about changes to /etc/group and /etc/master.passwd files. If you’re unsure, pressing enter will make no changes to the file. Once this process is complete, you just need to restart your computer and it will boot with the latest kernel and OS. 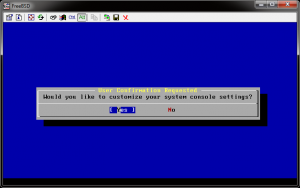 This entry was posted in FreeBSD, Hints & Tips and tagged csup, cvsup, FreeBSD, upgrade, upgrading on September 26, 2010 by dan. Flash is annoying. Adobe seem to have forgotten that other operating systems exist outside of windows, mac and linux. 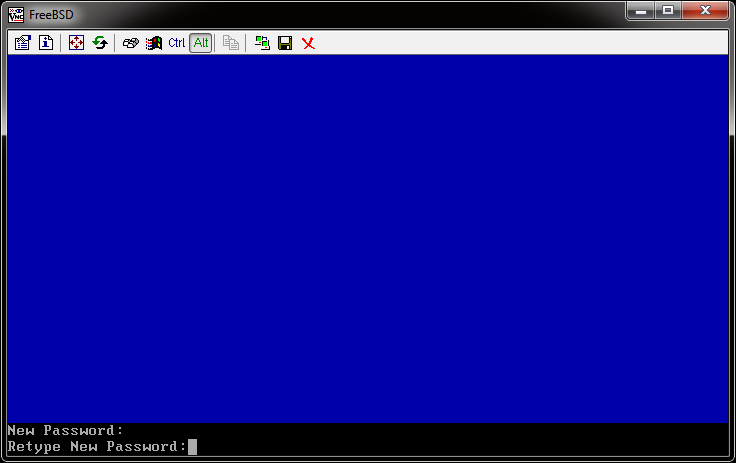 Because of this, we have to use the linux-based flash plugin for FreeBSD. 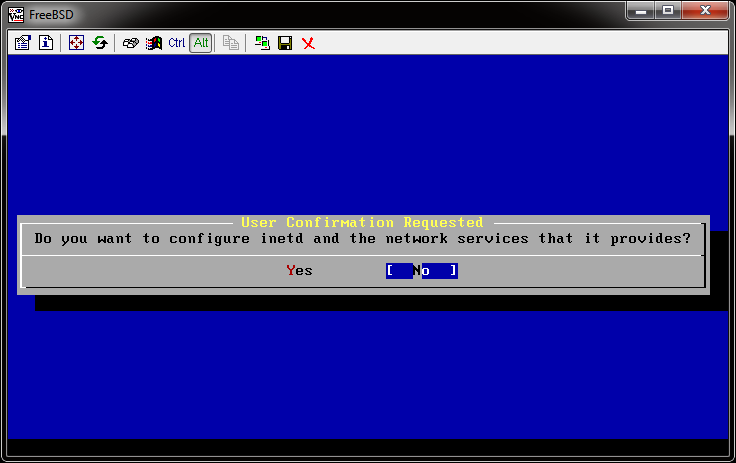 However, this is (mostly) easy enough to configure if you know how. Here’s a guide to do it. 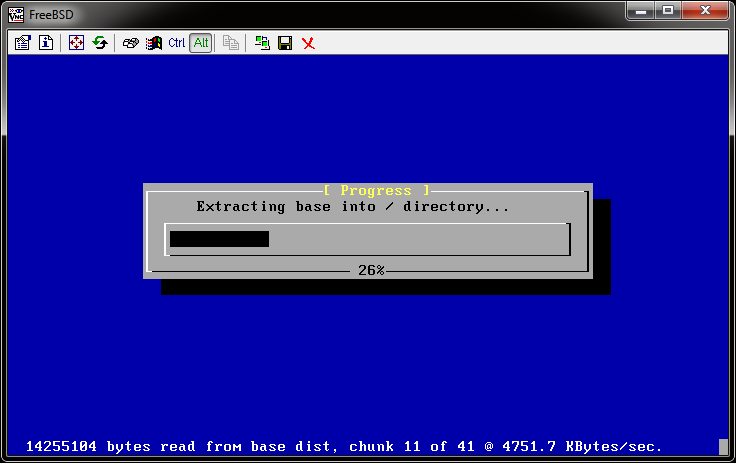 This will take a while as it installs a few helpers (like rpm), and downloads many linux RPM packages. This will fetch the linux flash plugin. If it complains about size mismatches or MD5 checksum failures, then you have likely not updated your ports tree like you were told! If all is well, you’ll see some mention of flash. Next time you open firefox, flash will be enabled and fully working – including sound. 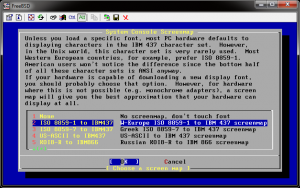 This entry was posted in FreeBSD, Hints & Tips and tagged firefox, flash, FreeBSD, guide, how to, howto, install, mozilla, netscape, plugin on September 26, 2010 by dan. After you have installed your system, you will no doubt want to update your ports tree regularly. This takes quite a while, and will report any files it is updating as it goes. Once it completes, your ports tree will be up to date. 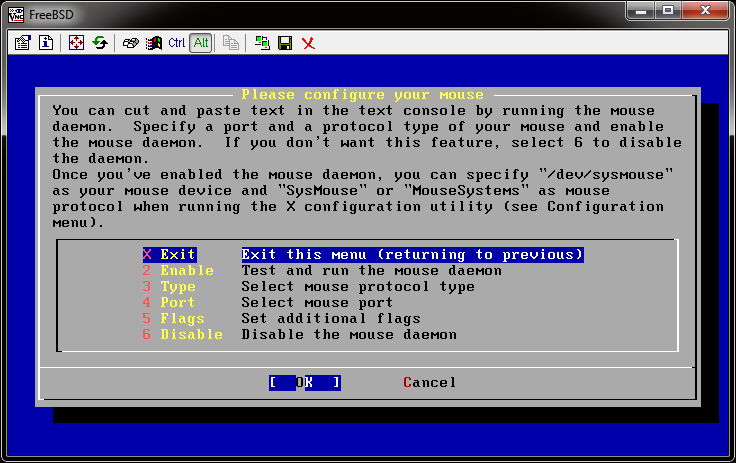 This entry was posted in FreeBSD, Hints & Tips and tagged csup, cvsup, FreeBSD, guide, how to, howto, ports, tree, update, updating on September 26, 2010 by dan. 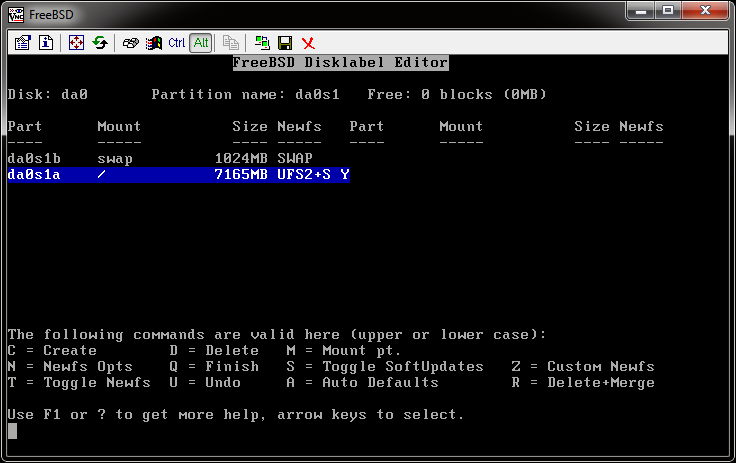 By default, FreeBSD does not load any sound card drivers for you. 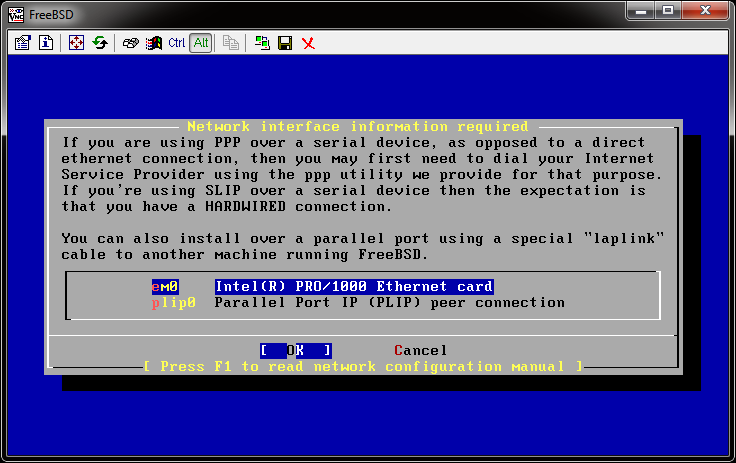 This shows a list of PCI devices in your system. You are looking for a device which has a “class” of “multimedia”. and select the one that looks most promising. 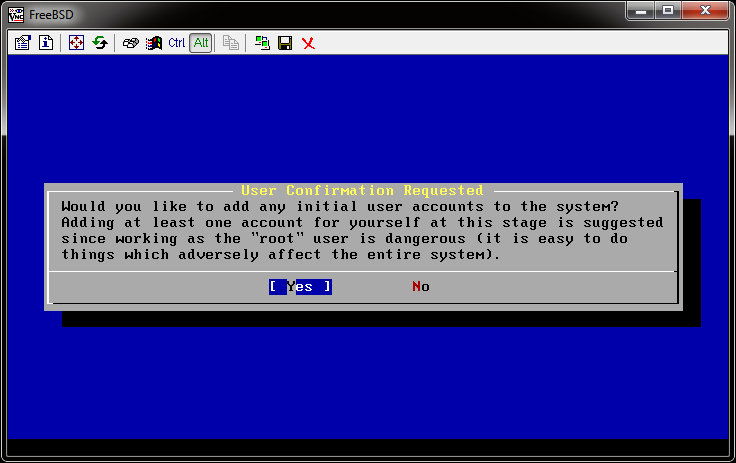 If all is well, your console screen (or type tail /var/log/messages if you’re not using the console – e.g. 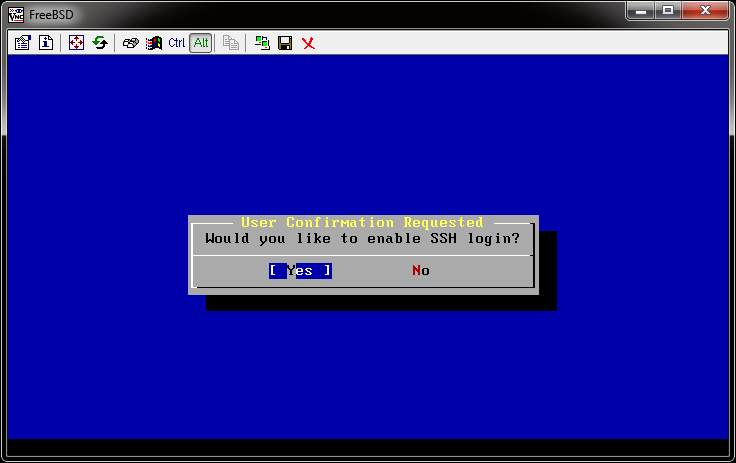 if you’re using SSH) will show a few messages about “pcm”. If the driver is incorrect, nothing will be shown. Everytime you reboot, your computer will load the driver automatically. 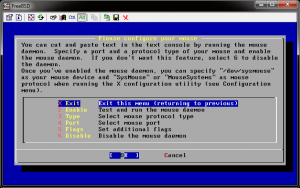 This entry was posted in FreeBSD, Hints & Tips and tagged driver, drivers, FreeBSD, guide, how to, howto, sound card, soundcard on September 26, 2010 by dan. 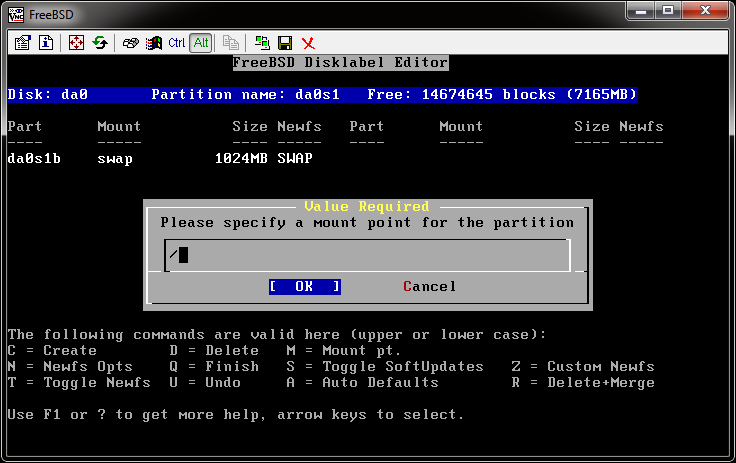 When you install FreeBSD, you have a choice of two editors… vi or ee – vi is, for most people, over complicated and scary… so here’s a brief introduction to using ee. This will bring you into an interactive editor. You can use the cursor keys to move around and type wherever the cursor is. 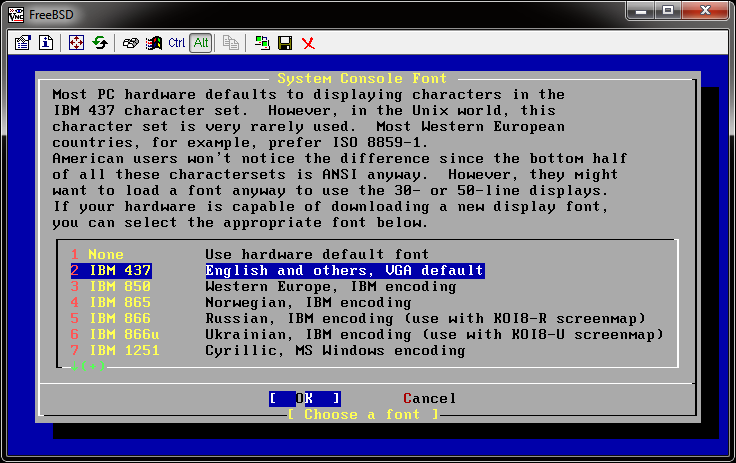 At the top of the window, you will see a list of commands. 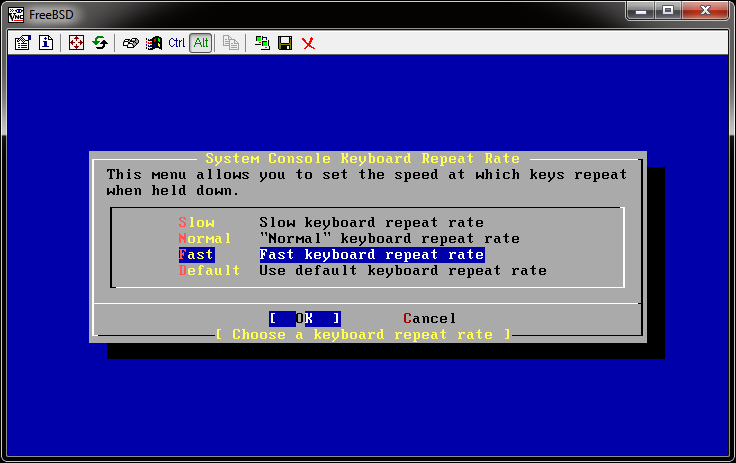 These are all prefixed with a “^” symbol – this means the Control key. To do a search, it says to use ^y – press Ctrl Y and type the text you want to search for. To repeat the last search, press Ctrl X. To save and exit a file, press ESC then enter twice. To exit without saving, press ESC, enter then select no save and press enter. It takes a little getting used to, but it’s a very simple editor and definitely the easiest choice for you in FreeBSD. 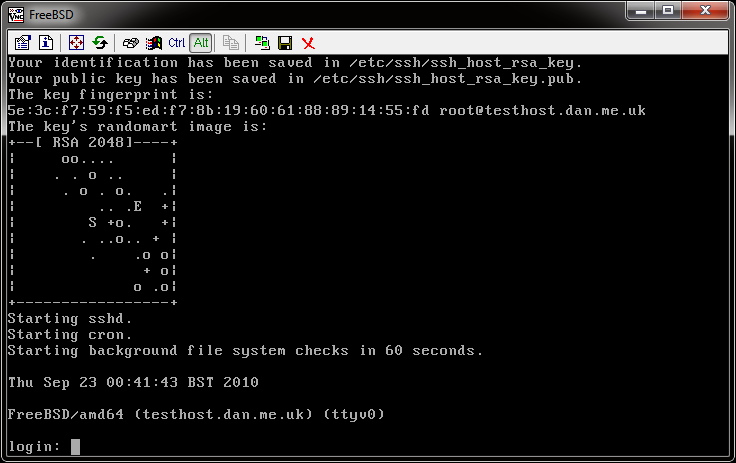 This entry was posted in FreeBSD, Hints & Tips and tagged edit, editor, ee, FreeBSD on September 26, 2010 by dan. This will load the linux compatibility layer, and linux procfs compatibility modules (these will most likely be used later when you need to install flash plugins) and also the ATAPI scsi emulation driver. This is used for cd/dvd recording tools within gnome. 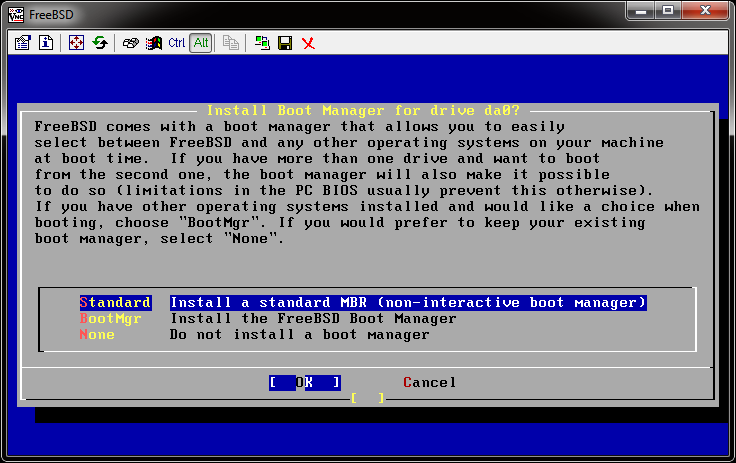 This will install xorg (if needed) and gnome. It will fetch all dependencies it needs, so it may take a while. You will be returned to a prompt when it’s finished. 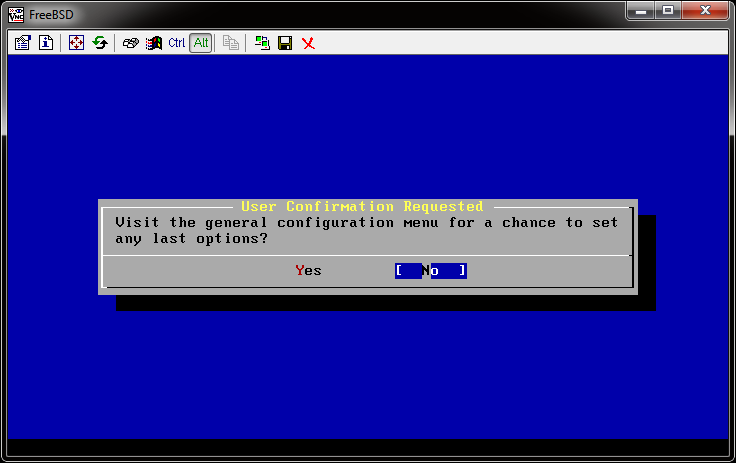 This entry was posted in FreeBSD, Hints & Tips and tagged FreeBSD, gnome, gui, guide, how to, howto, install on September 26, 2010 by dan. 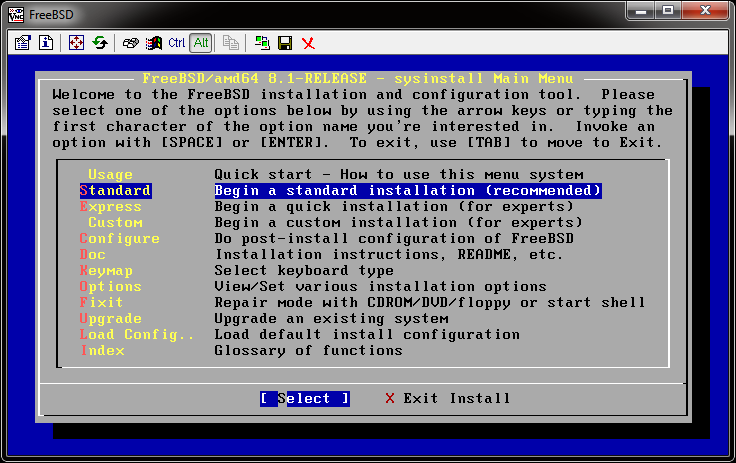 A few people have asked me recently how to install FreeBSD 8.1. 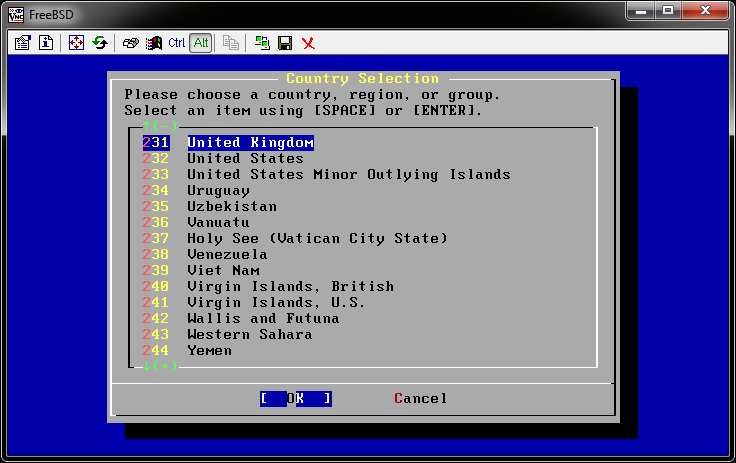 A few managed it by themselves, but using auto defaults which can cause various problems. So I decided to publish this guide. It uses the simplest method for users (not always “the best”, but certainly working) – I have taken screenshots throughout the entire process to assist you in installing. 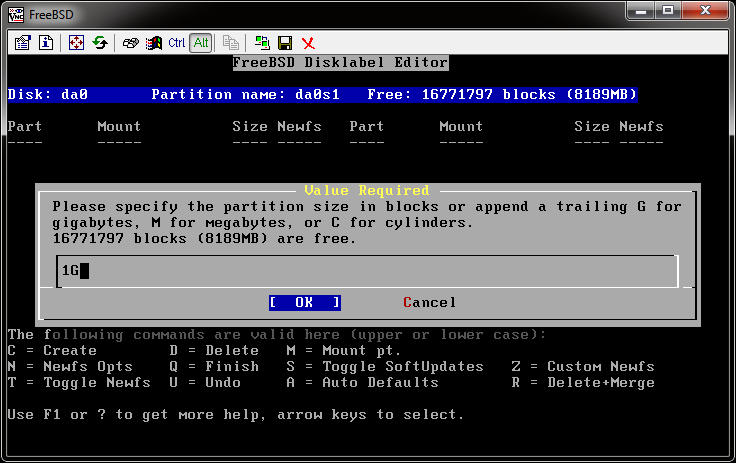 First of all, download and burn the installation CD (disc1) or DVD (dvd1) image from your nearest FreeBSD mirror. For our purposes, there is no difference between the two images. NOTE: you will only see this screen if you have more than one disk drive in your computer. If you do not see this screen, skip to the next screenshot. Go down to GENERIC and press space, then back up to Exit and press space. This will return you to the previous screen. Your network card(s) will be shown here. Network card names depend on your specific card. If you have multiple network cards, you will see multiple lines here. Ignore the plip0 device. Select the best font for you. For me, this is IBM 437. Press enter to return to the previous page. Select the best codepage for you. For me, this is UK ISO. Press enter to return to the previous page. 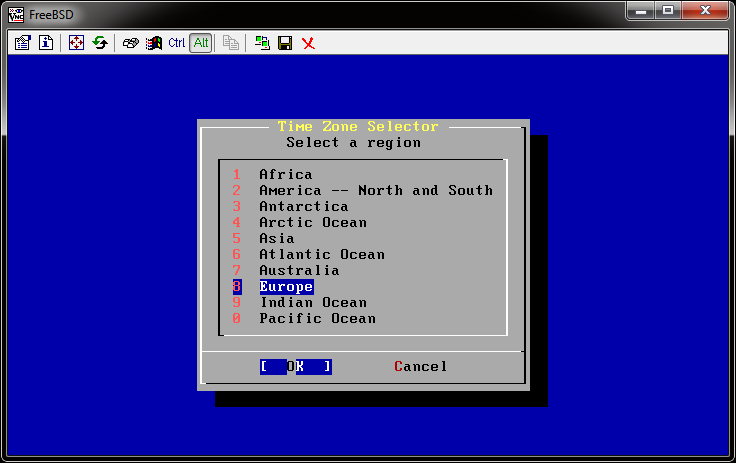 Select FAST and press enter to return to the previous page. 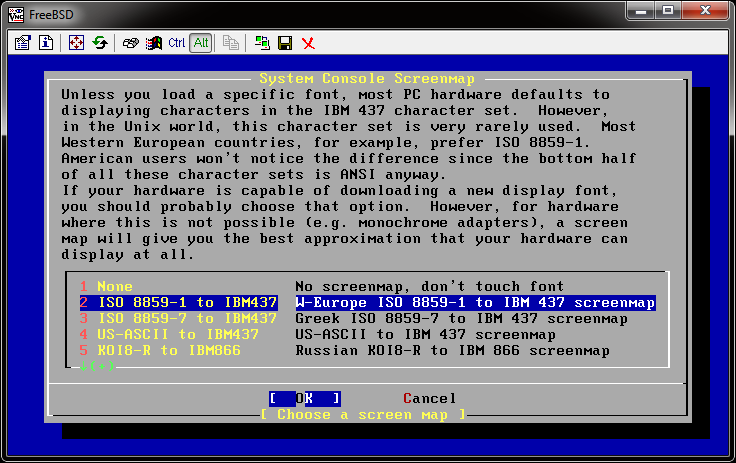 Select the best screenmap for you. 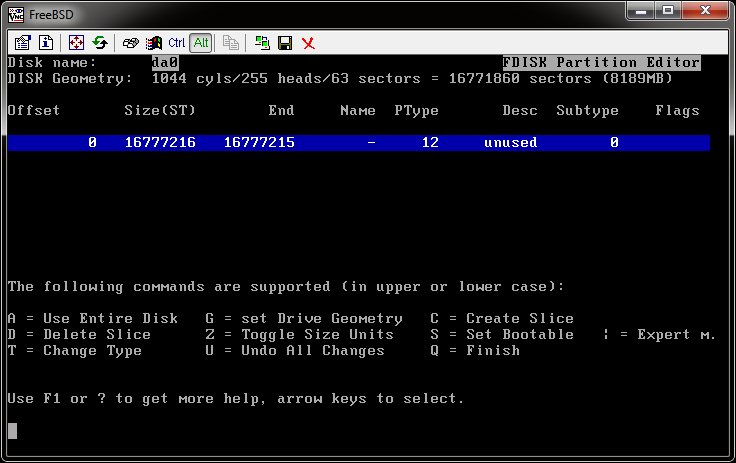 For me, this is ISO 8859-1 TO IBM437. Press enter to return to the previous screen. Add your username (all in lowercase) and use TAB to move between fields. Enter a password and confirm in the relevant boxes. 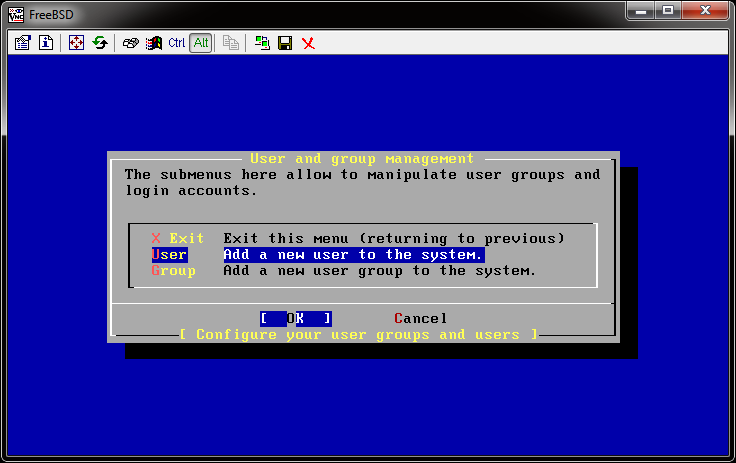 In ‘Member groups’ put wheel (in lowercase). Your home directory will automatically be set based on your login id. The default shell is /bin/sh however I prefer /bin/tcsh. TAB to OK and press enter to continue. 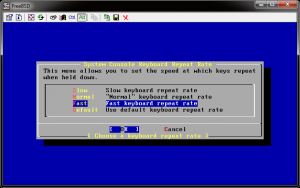 Use the right cursor key to select EXIT INSTALL and press enter to continue. Select YES to confirm you want to reboot. 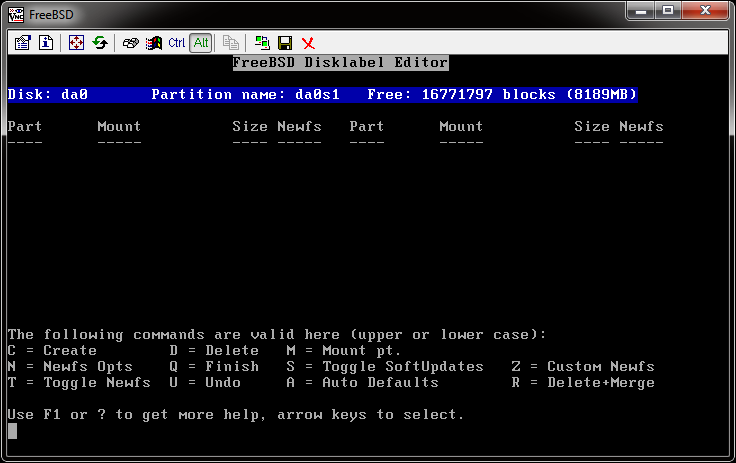 Remove the CD/DVD from the drive and press ENTER to reboot. Your computer is now installed and ready to use. See my other posts for information on how to perform other tasks. 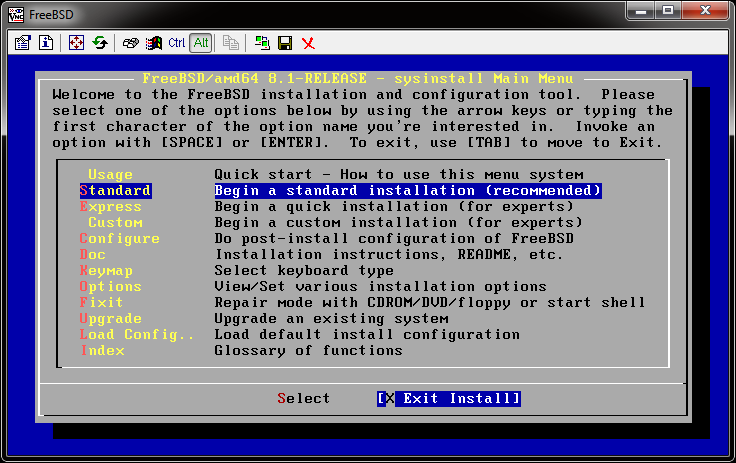 I hope this helps anyone hoping to install FreeBSD, and I welcome any questions. 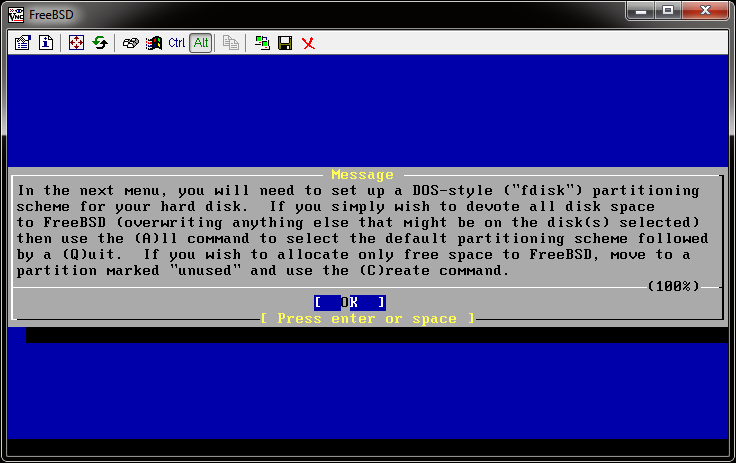 This entry was posted in FreeBSD, Hints & Tips and tagged FreeBSD, guide, how to, howto, install, step by step on September 25, 2010 by dan.